Easter is this very weekend and what better way to get prepared for it than to explore the origins surrounding the Easter Bunny. There is a large body of controversy surrounding the origins of the bunny delivering eggs to your children over Easter Sunday morning, however we here at Sir Holiday are determined to iron out the kinks and steer a clear path to determining how exactly the bunny came to be the chief mascot of Easter! Now, where is that Lindt Bunny of mine, anyway? A general question is if an Easter bunny that happens to gift all of the little boys and girls around the world with delicious candy eggs are in the Biblical passages? The answer to that would be no, unfortunately, after the resurrection of Jesus Christ on Easter Sunday, no Easter bunny popped out from behind a rock and started to hand out delicacies to children everywhere. That would have made the search for answers a whole lot easier though. The most common theory of the Easter Bunny points to ancient pagan belief systems and symbols that associate the rabbit as an emblem of fertility. That’s probably where the phrase breed like rabbits came from, and if you’re wondering it most certainly is like that. 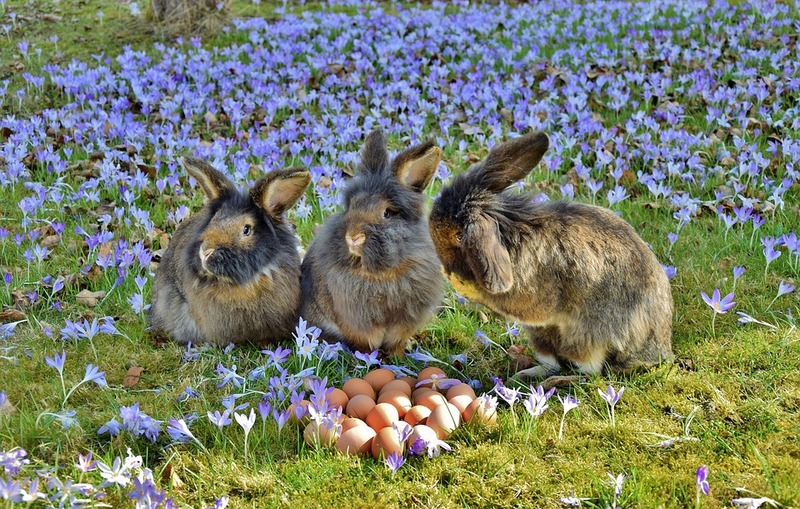 The reason for the association with fertility is most likely like to an ancient festival known as Eostre which was had in honour of the Roman goddess of fertility and guess which animal she was linked with? A bunny rabbit no less. 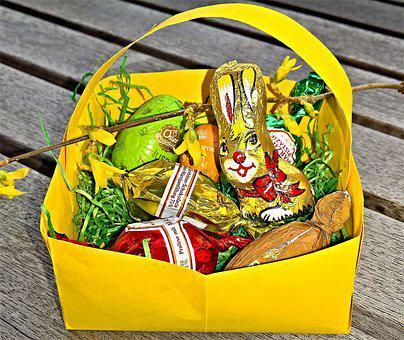 An additional theory is that when German nationals immigrated to the United States back in the 18th century that they brought their own Easter traditions. Their traditions involved an entirely new and unheard of figure known as an Osterhase, when translated this becomes an egg-laying hare. When the German immigrants settled in Pennsylvania their traditions of having their children create ‘nests’ out of multi-coloured straw for the bunny to lay eggs in became a hit. Over time this tradition spread outward across the whole of the United States. And of course, as the German tradition of the bunny who lays eggs spread across the USA the tradition in itself morphed slowly but sure. Gone was the nest, in favour of a basket. Add to that the addition of chocolate eggs and a wide variety of new candy treats. As well as gifts, and to top it all off the children were so thoughtful as to leave out carrots for the Easter bunny just in case he got hungry in between his pit stops to everyone’s homes. A Christian based version of events is that in medieval times there was a common belief that rabbits could have children even while still virgins, this led to rabbits being made symbolic with the Virgin Mary. The Easter bunny would act in a similar way to early versions of Saint Nick, as he would only provide candies to children who had earned them through good behaviour and deny the badly behaved children anything at all. For all of your holiday information and more, visit Sir Holiday today. Why We Have Easter Baskets And So Much Candy?